Mango Sticky Rice (known in Thai as Khao Niao Ma Muang) is one of our favourite Thai desserts. It has the right balance of favours, slightly salty, sweet, creamy coconut and sweet slightly tart mango. I love the slight crunch of the rice. Just writing about it makes me drool and want to eat it. We like to introduce people to this delicious dessert whenever we can and I’m pretty sure it now ranks as one of Nic’s family’s favourite Thai desserts. It’s was kind of obvious when they made sure to it track down before flying out of the country. 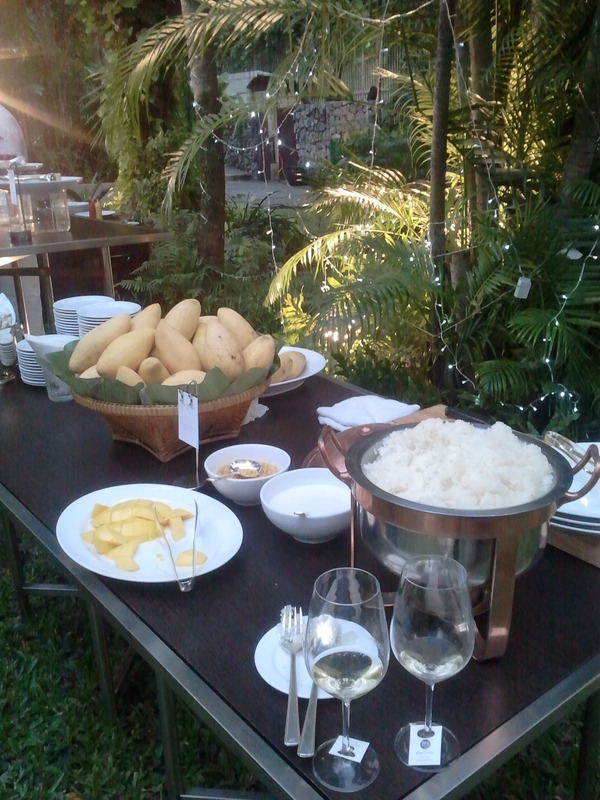 So in the spirit of making people jealous – we recently had the fortunate opportunity of having access to a free all you can eat Mango Sticky Rice buffet. As it sounds it was delicious and hard to turn down. Oh, yummy! I especially love it with those crispy bits (I think they’re fried mung beans?) that are sprinkled over the top And I can see a whole bowl of them! !